As a service organization, we continuously strive to provide customers with personalized attention, reliability, and expert skills. The iSOLD It stores’ business formula rests on the idea that busy people want exceptional service to help manage their affairs. Sell your car, truck, motorcycle, RV, or boat on eBay! “eBay Motors” is the largest category on eBay. 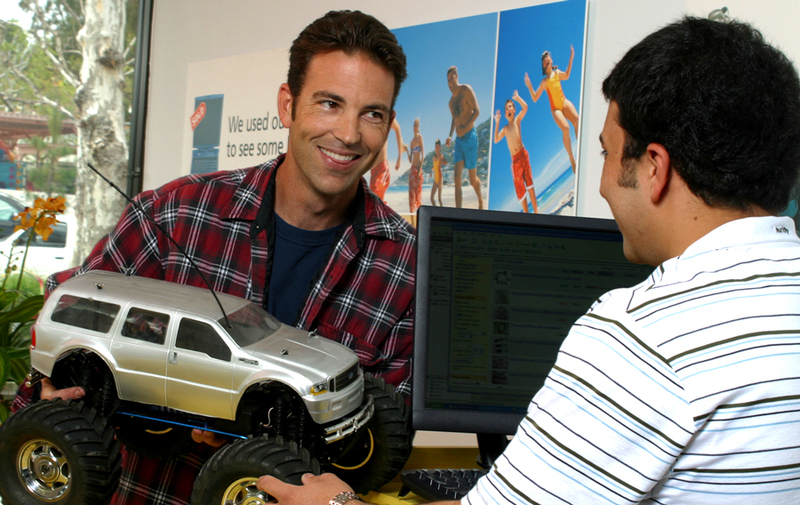 More buyers means more money obtained in an online sale for your car, motorcycle, RV, trailer, or boat. Take advantage of a national buying audience—over 75 percent of vehicles sold on eBay are sold across state lines. Our Vehicle Advertising service provides an affordable alternative to local newspaper classifieds, dealer trade-ins, and used car mega lots. 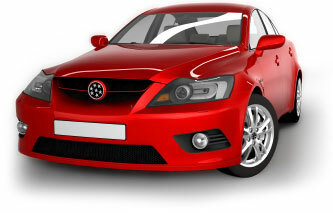 Bring in your car and relevant documents: title, warranty (if applicable), and registration. Fill out a questionnaire about your car and its condition. Let us know how much you want for the vehicle, or ask for our recommendation. We will take detailed digital photos of your vehicle to post on the listing website. We put it all together and list your vehicle on eBay! After it’s sold, we help facilitate direct payment to you from the buyer. You pay an upfront fee of $99 (this includes eBay fees). We collect a service fee equal to 10% of the sales price (minimum $250) ONLY if your vehicle sells. The buyer pays the remaining balance (90%) to you directly. If your car does not sell, we can relist it at your request for $75 for 10 days. Step 1: Drop it Off. Stop by with items you’d like to sell. Our experienced staff will conduct some quick online research to estimate the online resale value of your items. During check-in, our staff will work with you to capture background information that would be helpful for your online posting. Once you’re checked in, we place the items in our inventory and hand you a receipt. Then we get to work photographing your items and writing up the ad copy. Items will be launched online within 7 days, often sooner. Step 2: Watch the Action. Once we list your item(s) online, we’ll send you an email with a link to each sale so that you can watch all the bidding action as it occurs. Many of our sellers tell us this part is as fun as getting their final check! Step 3: Cash Your Check. We are glad to handle most items with an estimated resale value of $100 and above. For large items (furniture, bicycles, etc.) we work with items worth $150 and above. HOW MUCH WILL I MAKE SELLING ITEMS THROUGH ISOLD IT? …THEN we send you a check for the rest! Generally you can net anywhere from 55% – 80% of the total sale, depending on the final selling price. I SOLD IT STORES DO THE WORK OF THE ONLINE LISTING / ONLINE SALES FOR YOU! 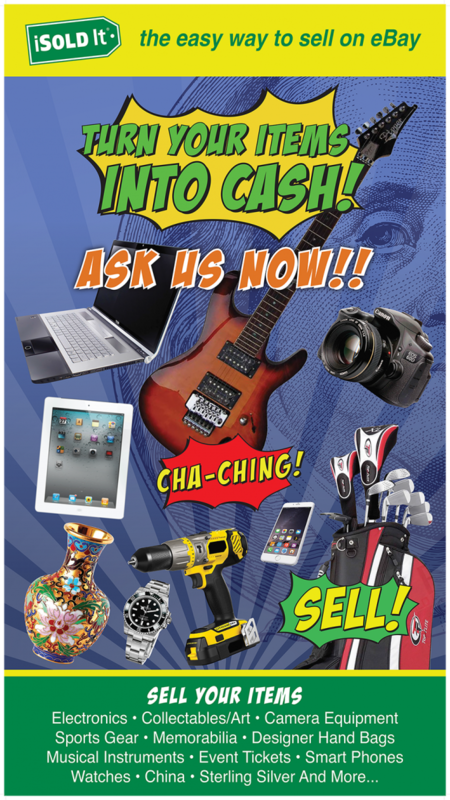 We provide assistance in many ways for individuals, businesses, and fundraisers interested in selling their items. We do much more than just sell it on eBay or Amazon. (If I sold it for you, and also assisted you in other ways, would that improve your home life or work life?) Detailed information about the many services provided by the iSOLD It store is available on the pages listed below. Research: determine pricing, selling format, best product category (eBay has over 40,000! ), best title keywords to maximize search results, shipping charges, best day/times to launch, and much more.